Breaking news this morning: preacher Abu Qatada has been cleared from terrorism charges in his home country Jordan. The timing cannot be more suspicious with Jordan’s involvement in the bombing of ISIS strongholds in Syria. Abu Qatada has recently come out with heavy criticism of the Islamic State. From his prison cell in Amman, he earlier stated that the declaration of a caliphate by ISIS is “void and meaningless” and said the beheadings of journalists are “un-Islamic”. So far, ISIS has been active in Syria and Iraq – and a few minor operations in Lebanon. While the threat of ISIS for international terrorism is largely a hype blown out of proportion in the West, it is a real threat to Jordan. After all, not only does Jordan share a border with Syria and Iraq (duh!) but moreover it has over 2,000 nationals who have travelled to Syria. 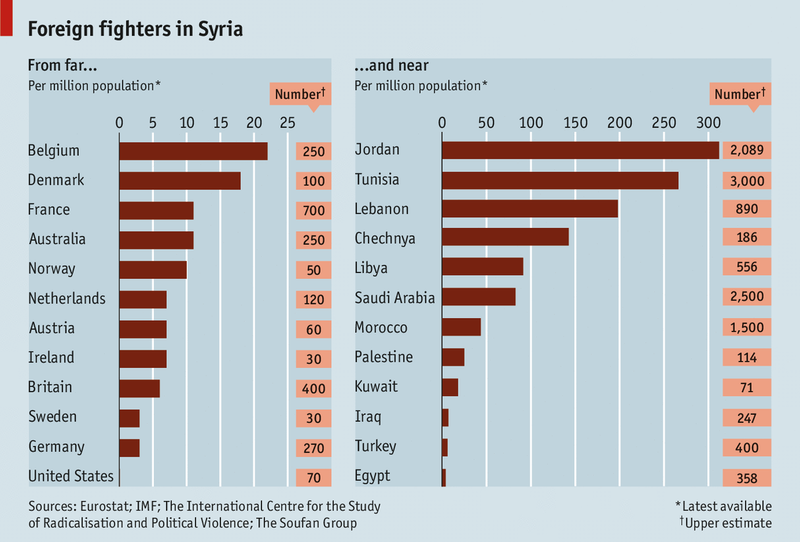 Per capita, Jordan has the most foreign fighters in Syria, followed by Tunisia and Lebanon. If ISIS cells can emerge anywhere and strike back against the US-coalition it will be in Amman. Therefore, I am quite sure that the Jordan government is happy to release Abu Qatada for now, in exchange for a regular dose of anti-ISIS rhetoric. Time will tell whether my suspicion was justified, but I am willing to put a ten Jordanian Dinar bet on Abu Qatada being on the payroll of the Jordanian Mukhabarat.